Apply here and enjoy better rates and more freight. Click here to find out more about our industry-leading program. Lease a Reitnouer trailer with no money down, flats and flats with sides available. Kaplan has grown to over 70 terminal locations. Click here to view these locations. Our experienced terminal personnel can help you move your freight on time and claim free. If you are looking for superb service and need a freight quote, click here. 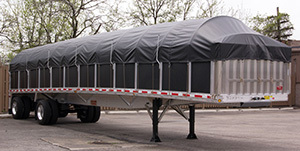 In business since 1934, Kaplan Trucking is one of the most experienced steel hauling trucking companies in the United States, providing flatbed transportation services to a variety of customers. Through the years, Kaplan has grown to over 70 terminal locations in the eastern United States and Texas. 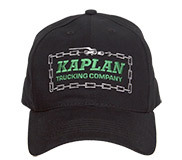 But Kaplan remains true to its roots — taking great care of customers and drivers and building on these relationships. 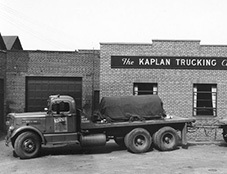 Kaplan Trucking has been in business since 1934. We have withstood the test of time and have successfully navigated our country's changing economic currents for over 80 years. Reitnouer trailers for lease/purchase, no money down, flats and flats with sides available.